Bryony is a PhD candidate jointly between the Division of Infectious Diseases and the Centre for Health Economics, Policy, and Innovation (CHEPI) at Imperial College Business School. Her research focuses on impact evaluation of policies to improve access to essential medicines in low- and middle-income countries. She has focused largely on access to high-cost hepatitis C medicines in these settings. Her PhD is supervised by Prof Graham Cooke (Division of Infectious Diseases) and Dr Marisa Miraldo (Imperial College Business School). Bryony holds a Master’s of Public Health (Global Health) from Imperial College London and a Master’s in Natural Sciences from University College London. 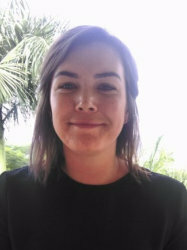 Bryony previously worked for the Clinton Health Access Initiative (Rwanda) on the viral hepatitis programme and has provided statistical support for clinical studies.